My mom made the best chocolate chip cookies. We always had them in the house, she made dozens of cookies every week, feeding not just my brother and I, but all the neighborhood kids. Whenever I feel down, have a bad day, or get lonely, pulling out my mixing bowl and a cookie sheet is cathartic. Before I know it, I have forgotten my 1st world problems and frustrations. 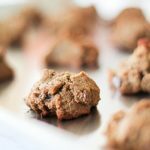 With the aroma of fresh baking cookies filling the air, everything is right in the world, if only for a minute. 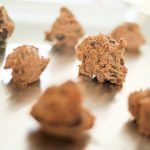 My mom doesn't bake much anymore: many people living in their retirement community are plagued with cancer, diabetes, colitis, arthritis, dementia, (and others). She feels guilty contributing to their ailments with processed sugar and white flour. I don't bake as often myself for many of the same reasons; I don't want to kill my co-workers with blood sugar spikes and anxiety. But generations of using baking as therapy, I have a need to fire up the oven and create. 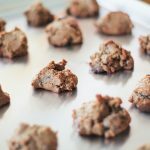 Here it is, my mom's cookie recipe in a version that is grain-free, and I can feel good about sharing it with people I love. 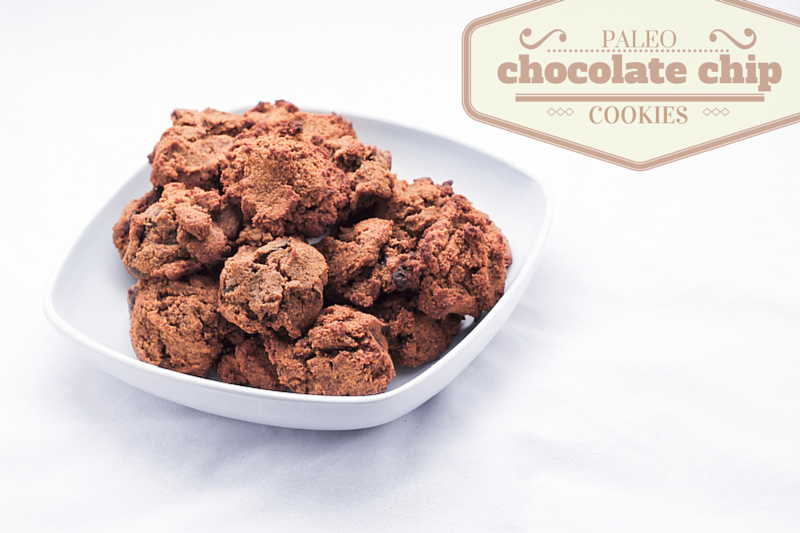 Paleo chocolate chip cookies! 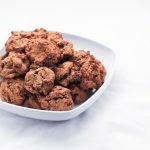 Cream coconut milk, butter or ghee, date sugar and eggs together. In another bowl, sift together coconut flour, baking soda and salt. Add to wet ingredients, mix well. Refrigerate for 20 min or so while you pre-heat the oven. 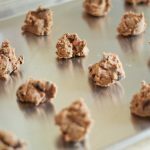 Spoon dough onto a cookie sheet. Bake 8-10 min, allow to cool slightly and then transfer to a rack to cool. Being shared at Allergy Free Wednesdays and Natural Family Friday. Just curious, how is this dairy free with butter in the ingredients? A dairy free (or more cassein free) version would be if you used ghee instead of the butter in the and/or ingredient list. Alternately you could use vegetable shortening but be sure to read the ingredients for allergens. 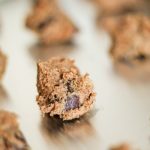 Also be diligent about the ingredients of your chocolate chips if you can’t have any dairy! Be sure to try some of our recipes this weekend. Happy Thanksgiving! !